This 24-page teacher's guide to Lord of the Flies by William Golding offers differentiated activities that engage students in critical reading, writing, thinking, speaking, and technology. 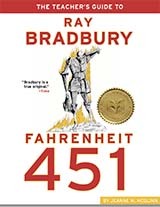 Explore human nature and the myriad of issues we face today through this work of dystopian fiction. Informational, non-print, and literary selections are suggested as companion pieces to Golding's anchor text.